This currency trading book provides readers with real, practical information on how to trade the foreign exchange market effectively. It begins by covering introductory information on the forex market, including basic trading mechanics and the benefits of forex trading, and then goes on to describe specific currency trading methods and skills in step–by–step detail. This includes highly practical information on technical and fundamental analysis, risk and money management, and powerful forex trading strategies. These strategies have proven extremely effective in helping traders play the forex game to win. Chapter 1. Introduction to Foreign Exchange Trading. Trading Money to Make Money. Buying and Selling at Retail. Big and Liquid, Like the Ocean. What to Expect from This Book. Chapter 2. Basic Foreign Exchange Trading Mechanics. Anatomy of a Currency Pair. Going Long and Selling Short. Market Orders On the Spot. Entry Orders Waiting until the Price is Right. Stopping Losses with Stop Losses and Trailing Stops. Profit Limits When You re in the Money. Trade Size Lots and Lots of Lots. Pips The Currency of Currency Trading. Spreading the Wealth Spreads or Commissions? Hedging Two Sides of the Same Coin. Chapter 3. Technical Analysis Tools for Trading Foreign Exchange. Introduction to Technical Analysis Interpreting Price Action. Basics of Bars and Candlesticks. Keeping Time with Chart Timeframes. Support for Resistance (and Support). The Trend Will Set You Free. How Trendy Lines and Channels. Seeing Patterns in the Candles. Pointing the Way with Pivot Points. Getting to the Point & Figure. Chapter 4. Fundamental Analysis What Drives the Foreign Exchange Markets. Introduction to Fundamental Analysis Basic Economics. A Healthy Interest in Global Bank Rates. Indication of Things to Come Economic Indicators. No News is Bad News for News Traders. Chapter 5. Foreign Exchange Trading Methods and Strategies. Position Trading Settling in for the Long–Term. Swing Trading Riding the Waves. Day Trading In and Out, Day In and Day Out. Trend Trading Going with the Flow. Range Trading Between a Rock and a Hard Place. Breakout Trading (and Fading) Shooting for the Stars. Pattern Trading Playing with Shapes. Fibonacci and Pivot Point Trading Magic Numbers and Self–Fulfilling Prophecies. Elliott Wave Trading Two Steps Forward, One Step Back. Multiple Timeframe Trading Timing is Everything. Point & Figure Trading Pointing Out Breakouts. Carry Trading In the Interest of Interest. News Trading All the News That s Fit to Profit From. Contrarian Trading The Majority Doesn t Rule. Chapter 6. 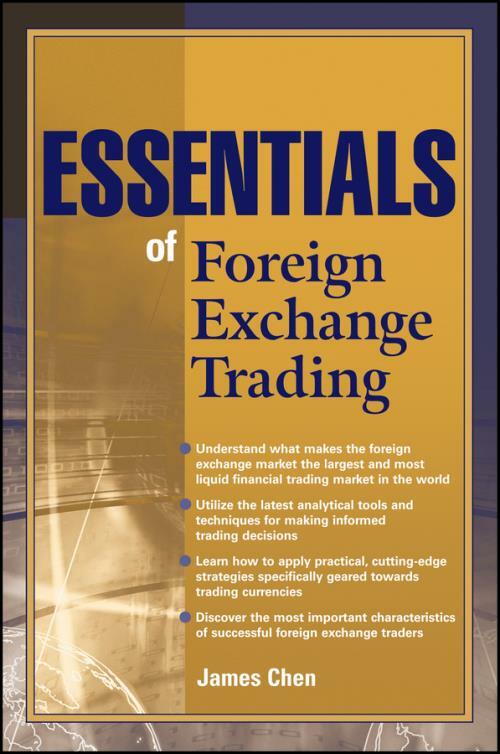 Important Elements of Successful Foreign Exchange Trading. The Boring Side of Success. Fatter is Healthier (But Only for Trading Accounts). Measuring Risk with a Trendline. Plan the Trade and Trade the Plan.